Mayur Utsav is a residential development in Kanpur. Developed by Mayur Infrastructure, this project offers 2BHK and 3BHK apartments with modern amenities for the comfort of residents. It is close to market and many educational institutions. In which area is Mayur Utsav located?The project is situated in Kalyanpur, Kanpur. What are sizes of apartments in Mayur Utsav? The apartment sizes in the project range from 1280.0 sqft to 1613.0 sqft. 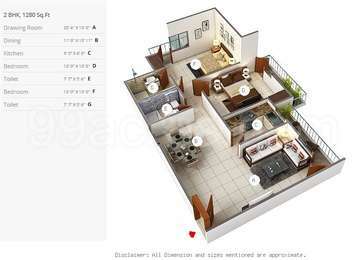 How much is area of 2bhk in Mayur Utsav? 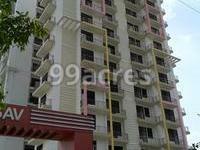 Two-room units (2BHK) in the project are available in an area of 1280.0 sqft. What is the 3 bedroom size in Mayur Utsav? The area of 3BHK units in the project varies from 1323.0 sqft to 1613.0 sqft. How many towers are there in Mayur Utsav? There are 1 towers in the project, which offer a total of 96 housing units. Does Mayur Utsav have cricket pitch? The project doesn't offer a cricket pitch.